→What are the Best CPA Exam Review Books? What are the Best CPA Exam Review Books? Before you start preparing for the CPA exam, you need to plan your study program based upon your natural learning preferences. Some people prefer a highly structured classroom program. Other people are more comfortable with a self study program. If you prefer following a self study program, it’s important to incorporate the right CPA exam self study books. When selecting self study books, it’s important to decide whether you would prefer study notes as part of a larger bundle or if you would prefer standalone study notes. The biggest benefit of purchasing study notes as part of a larger bundle is that you receive multiple products like video lectures, test question software bank, flashcards, and other study tools that many students find very helpful. Typically these bundles are available at cheaper prices than it would be to purchase all of the products individually. The main drawback of purchasing study notes as part of a bundle is the cost. These packages typically start at $500 and can go all the way up to $2,500 depending on the packages and the brand name of the provider. The main benefit of purchasing CPA books individually is the price. By purchasing you’re books separately, you will save a significant amount of money. Typically current year CPA study books can be purchased for anywhere from $50 to $250 depending on if you want to purchase books for a single section or for all 4 sections of the CPA exam. For additional savings, you can also purchase used CPA exam books. In some cases you can purchase current year versions or even prior year used versions for a significant savings. 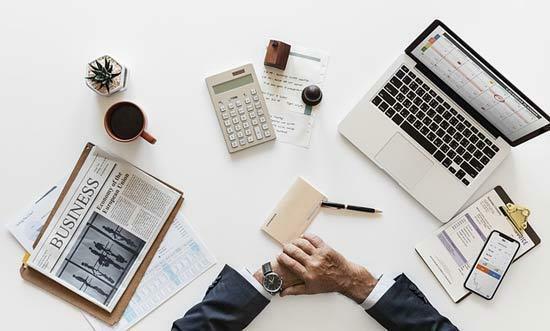 The primary drawback of purchasing CPA books individually is that you may decide at a later point that you need additional products to supplement your studying. For instance you might decide that you need to purchase test bank software in order to be ready for the exam. We created three purchasing profiles to help you decide which options might be best for your needs. Our profiles include: premium, moderate, and budget profiles. The premium options include self study books that are part of a larger bundle. These bundled options include premium CPA self study books as well as video lectures, practice question software, and programs that help you track your study progress. Surgent offers one of the most advanced adaptive software platforms available. Students can purchase single course packages that start at $599. These course bundles include access to Surgent’s proprietary algorithm that creates a customized study program for you based upon your current skill level. The amazing thing about Surgent’s program is the algorithm continues to customize the program to your skill level in real-time. So as your strengths and weaknesses change, the learning adaptive algorithm will change right along with you. For more information, see our detailed review of Surgent. For buyers that are looking for a combination of high quality at a more reasonable price point, we have two main options for you to consider. The first option falls into the bundle category and the second option falls into the standalone product category. Yaeger’s CPA course products are available for individual courses or can be purchased in a larger package. The individual course bundles are available starting at $425. These individual course bundles include all CPA self study books, full access to the practice question test bank, audio lectures, and flashcards. Students can even purchase physical textbooks for an additional shipping cost. For more information, see our full review of Yaeger here. Wiley is a well known prep course provider that offers prep course products for a full range of different professional designations. Wiley also offers a comprehensive self study program for the CPA exam. Students can purchase individual books for each section of the CPA exam at a significant discount from the bundled price. If you would prefer a supplemental test bank product, Wiley also gives you the option of purchasing their test bank separately as well. You can read our full review of Wiley here. Gleim is another CPA prep course provider that has a long history of helping students pass the CPA exam. The company offers more comprehensive premium course options, but they also offer access to just the CPA study books on an individual basis. Students can purchase just a single book for each section of the exam or they can purchase all 4 sections for a slight discount. For students purchasing individual CPA self study books, we recommend considering a supplemental CPA test bank product. A supplemental test bank product provides you with the ability to practice a large database of practice questions. 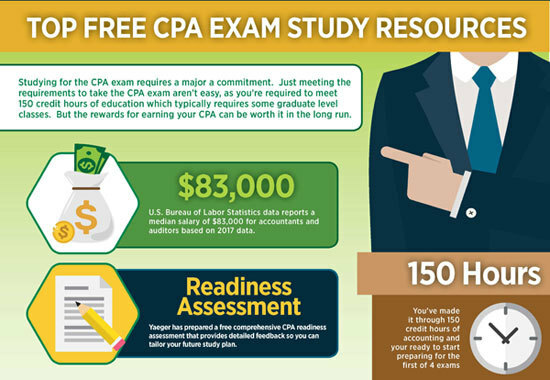 Successfully answering many practice questions is really a critical part of passing the CPA exam. The best part of a supplemental test bank product is that they are available at much lower prices than the test bank products included as part of a larger bundle. Universal CPA offers one of the best supplemental test bank products. The primary test bank covers all 4 sections of the CPA exam and includes over 4,200 multiple choice questions and 200 task based simulations. Students can purchase the test bank for individual sections or they can purchase access to all 4 sections. Individual sections of the exam are available starting for $99 and each purchase includes lifetime access to the database. For more information on the Universal test bank, see our full review here. The Wiley CPA test bank includes over 6,000 questions and is a fully mobile accessible product. Students can purchase access to individual sections of the CPA exam or all 4 sections for a slight discount. The test bank includes detailed analytics to track your progress over time. For students that are on a tight budget, there are still some great options for purchasing CPA exam study books at a discount. Most of self study books are available on Amazon as used products. By purchasing study books used, you can save anywhere from 30% to 60% off the regular price.